Exclusive! Show your Christmas spirit! 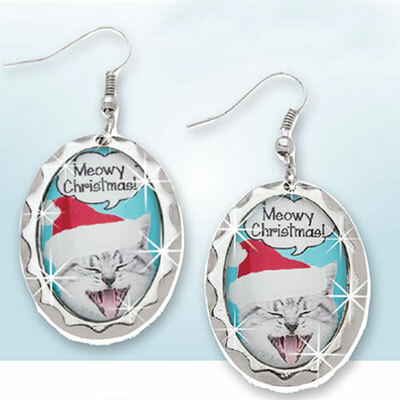 Silver-tone frames highlight these fun and festive oval shaped earrings of an adorable kitty, in a Santa hat, singing his heart out and wishing everyone a "meowy Christmas!" French wires. 2¼"l.